Cedar Island was a small crescent shaped, elongated natural island located along the Canadian shoreline approximately 200 yards east of the Horseshoe Falls. This island was named after the white cedar trees originally found on this island. Throughout the years, the island was also known as Swayze’s Island, Long Island and Crescent Island. This island was first occupied by Isaac Swayze through government lease in 1804. Swayze could occupy this island but couldn’t build any structure other than a wooden residence, so the five acre island remained undeveloped. By 1857, strong water currents had caused massive erosion. The island had been reduced to two acres in size. In 1857, Samuel Street obtained a lease from the government for Cedar Island. Samuel Street built a 50 foot tall wooden pagoda styled tourist observation tower, which was mounted on a small house. The tower was called “Street’s Pagoda”. The tower was too far from the brink of the Falls, leading to a poor view and thus became an unsuccessful financial venture. 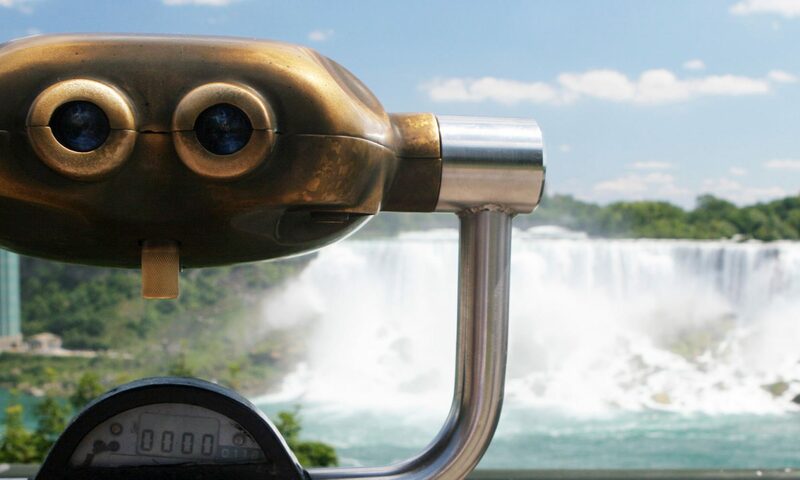 In 1905, the American based – Canadian Niagara Power Company built a hydro-electric generating plant on Cedar Island. This took advantage of the normal river current which flowed around Cedar Island. This power station was inaugurated as the William Birch Rankine Power Station. Cedar Island became nonexistent during the construction of the Rankine Power Plant as a result of land filling. Today, the remnants of what was once Cedar Island is located where the current site of the Canadian Niagara Power Company is situated.